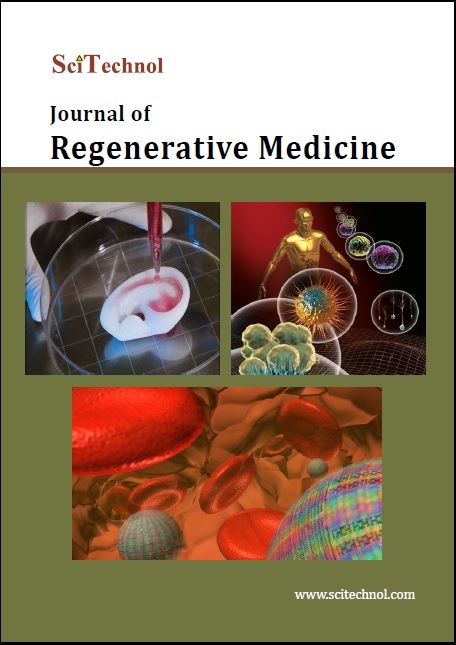 Journal of Regenerative Medicine (JRGM) is a peer-reviewed scholarly journal and aims to publish the most complete and reliable source of information on the discoveries and current developments in the mode of original articles, review articles, case reports, short communications, etc. in all areas of stem cells and regenerative medicine and making them available online freely without any restrictions or any other subscriptions to researchers worldwide. 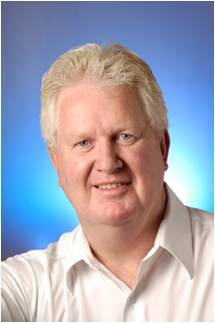 The Journal is using Editorial Manager System for quality in review process. Editorial Manager is an online manuscript submission, review and tracking system. Review processing is performed by the editorial board members of Journal Regenerative Medicine or outside experts; at least two independent reviewers approval followed by editor approval is required for acceptance of any citable manuscript. Authors may submit manuscripts and track their progress through the system, hopefully to publication. Reviewers can download manuscripts and submit their opinions to the editor. Editors can manage the whole submission/review/revise/publish process. Regenerative Biology: In biology, regeneration is the process of renewal, restoration, and growth that makes genomes, cells, organisms, and ecosystems resilient to natural fluctuations or events that cause disturbance or damage. Every species is capable of regeneration, from bacteria to humans. Regeneration can either be complete where the new tissue is the same as the lost tissue or incomplete were after the necrotic tissue comes fibrosis. At its most elementary level, regeneration is mediated by the molecular processes of gene regulation. Regeneration in biology, however, mainly refers to the morphogenic processes that characterize the phenotypic plasticity of traits allowing multi-cellular organisms to repair and maintain the integrity of their physiological and morphological states. Above the genetic level, regeneration is fundamentally regulated by asexual cellular processes. Regeneration is different from reproduction. For example, hydra performs regeneration but reproduce by the method of budding. Related Journals of Regenerative Biology: Advances in Regenerative Biology, Cell Regeneration, Journal of Cell Biology, Journal of Tissue Engineering and Regenerative Medicine, Journal of Stem Cell Research & Regenerative Medicine, Journal of Bioengineering & Biomedical Science, Journal of Stem Cell and Regenerative Biology, Journal of Biology, Journal of Regenerative Medicine & Tissue Engineering, e-Biomed: The Journal of Regenerative Medicine. Stem Cells: Stem cells are undifferentiated cells, that can differentiate into specialized cells and can divide to produce more stem cells. They are found in multicellular organisms. In mammals, there are two broad types of stem cells: embryonic stem cells, which are isolated from the inner cell mass of blastocysts, and adult stem cells, which are found in various tissues. In adult organisms, stem cells and progenitor cells act as a repair system for the body, replenishing adult tissues. In a developing embryo, stem cells can differentiate into all the specialized cells—ectoderm, endoderm, and mesoderm - but also maintain the normal turnover of regenerative organs, such as blood, skin, or intestinal tissues. Related Journals of Stem Cells: Stem Cells, Cell Stem Cell, Stem Cells and Development, Stem Cell Reviews and Reports, Current Stem Cell Research and Therapy, Stem Cell Research, Stem Cell Research and Therapy, Stem Cells International, Stem cells translational medicine, Current Protocols in Stem Cell Biology. Tissue Repair and Regeneration: Tissue repair and regeneration following injury or disease are often thought to recapitulate embryonic development by using similar molecular and cellular pathways. In addition, many embryonic tissues, such as the spinal cord, heart, and limbs, have some regenerative potential and may utilize mechanisms that can be exogenously activated in adult tissues. For example, BMP signaling regulates nervous system development, and SMAD reactivation plays a critical role in adult nerve regeneration and repair in animal models of spinal cord injury. While similar molecular pathways are utilized during embryogenesis and adult tissue regeneration, recent reports suggest the mechanisms by which these developmental programs are reactivated and maintained may vary in adult tissues. Adult fish and amphibians have a remarkable capacity for tissue regeneration, while mammals have a limited regenerative capacity. Related Journals of Tissue Repair and Regeneration: Fibrogenesis and Tissue Repair, Wound Repair and Regeneration, Regeneration Journal of Investigative Dermatology, Advances in Skin & Wound Care, International Wound Journal, Journal of Wound Care, Wounds International, Wounds: A Compendium of Clinical Research and Practice, Journal of Regenerative Medicine & Tissue Engineering. Rejuvenation: Rejuvenation is a medical discipline focused on the practical reversal of the aging process. Rejuvenation is distinct from life extension. Life extension strategies often study the causes of aging and try to oppose those causes in order to slow aging. Rejuvenation is the reversal of aging and thus requires a different strategy, namely repair of the damage that is associated with aging or replacement of damaged tissue with new tissue. Rejuvenation can be a means of life extension, but most life extension strategies do not involve rejuvenation. Related Journals of Rejuvenation: Rejuvenation Research, The Indian Journal of Medical Research, Stem Cell Reports., Hematology/ Oncology and Stem Cell Therapy, Journal of Stem Cells, International Journal of Stem Cells, Journal of Stem Cells and Regenerative Medicine, Stem Cells and Cloning: Advances and Applications, International Journal of Hematology-Oncology and Stem Cell Research, Stem Cell Research Journal. Cell Engineering: Molecular and Cellular Engineering uses engineering principles to understand and construct cellular and molecular circuits with useful properties. At the molecular level, proteins can be engineered to elicit specific ligand-receptor interactions, which can then be used for the rational design of targeted drug therapies. At the cellular level, metabolic engineering can create cellular biosensors that can monitor the environment for toxins or other specific molecules. Molecular and Cellular engineering can also be used to enhance the cellular production of pharmaceuticals, the delivery of beneficial genes to a particular cell type, and the production of tissues or tissue matrices for therapeutic purposes. This area of research also promises to help the scientific community unlock the mysteries of cellular metabolism, and how alterations in metabolism can lead to a myriad of human disease processes. Related Journals of Cell Engineering: Biotechnology and Bioengineering, Journal of Bioscience and Bioengineering, Cellular and Molecular Bioengineering, Acta of Bioengineering and Biomechanics, Journal of Fiber Bioengineering and Informatics, Advances in Computational Bioengineering Journal of Tissue Engineering, Journal of Tissue Engineering and Regenerative Medicine Tissue Engineering - Part B: Reviews, Journal of Biological Engineering. Tissue Engineering: Tissue engineering is emerging as a significant potential alternative or complementary solution, whereby tissue and organ failure is addressed by implanting natural, synthetic, or semisynthetic tissue and organ mimics that are fully functional from the start, or that grow into the required functionality. Initial efforts have focused on skin equivalents for treating burns, but an increasing number of tissue types are now being engineered, as well as biomaterials and scaffolds used as delivery systems. A variety of approaches are used to coax differentiated or undifferentiated cells, such as stem cells, into the desired cell type. Notable results include tissue-engineered bone, blood vessels, liver, muscle, and even nerve conduits. As a result of the medical and market potential, there is significant academic and corporate interest in this technology. Related Journals of Tissue Engineering: Tissue Engineering, Tissue Engineering - Part A, Tissue Engineering - Part B: Reviews, Journal of Tissue Engineering and Regenerative Medicine, Journal of Tissue Engineering, Open Tissue Engineering and Regenerative Medicine Journal, Tissue Engineering and Regenerative Medicine, Journal of Biomaterials and Tissue Engineering, Journal of Clinical Rehabilitative Tissue Engineering Research, Journal of Biomimetics, Biomaterials, and Tissue Engineering. Cell and Organ Regeneration: Some parts of our bodies can repair themselves quite well after injury, but others don’t repair at all. We certainly can’t regrow a whole leg or arm, but some animals Can regrow - or regenerate - whole body parts. Regeneration means the regrowth of a damaged or missing organ part from the remaining tissue. As adults, humans can regenerate some organs, such as the liver. If part of the liver is lost by disease or injury, the liver grows back to its original size, though not its original shape. And our skin is constantly being renewed and repaired. Unfortunately, many other human tissues don’t regenerate, and a goal in regenerative medicine is to find ways to kick-start tissue regeneration in the body or to engineer replacement tissues. Related Journals of Cell and Organ Regeneration: Human Molecular Genetics, Cell Regeneration, The Journal of Stem cells and Regenerative Medicine, Journal of Cell Biology, Cells, International Journal of Nephrology, Journal of Biomedicine and Biotechnology, Journal of cellular physiology Journal of Anatomy, Journal of the American Society of Nephrology. Translational Medicine: Translational science is a multidisciplinary form of science that bridges the recalcitrant gaps that sometimes exist between fundamental science and applied science, necessitating something in between to translate knowledge into applications. The term is most often used in the health sciences and refers to the translation of bench science, conducted only in a lab, to bedside clinical practice or dissemination to population-based community interventions.Translational Medicines: Translational medicine, also called translational medical science, preclinical research, evidence-based research, or disease-targeted research, the area of research that aims to improve human health and longevity by determining the relevance to human disease of novel discoveries in the biological sciences. Related Journals of Translational Medicine: Science Translational Medicine, Journal of Translational Medicine, Stem cells translational medicine, Journal of Experimental Stroke and Translational Medicine, Open Translational Medicine Journal, Clinical and Translational Medicine, Journal of Regenerative Medicine and Tissue Engineering, Journal of Pharmacology and Experimental Therapeutics, Journal of Pharmacy And Bioallied Sciences, Science Translational Medicine. Translational Science: Translational science is a multidisciplinary form of science that bridges the recalcitrant gaps that sometimes exist between fundamental science and applied science, necessitating something in between to translate knowledge into applications. The term is most often used in the health sciences and refers to the translation of bench science, conducted only in a lab, to bedside clinical practice or dissemination to population-based community interventions. Related Journals of Translational Science: Progress in Molecular Biology and Translational Science, Clinical and Translational Science, Journal of Translational Science, Science Translational Medicine, Journal of Translational Medicine, Clinical and Translational Science, Translational Research Clinical and Translational Sciences: Translational Science Journals, American Journal of Translational Research, Journal of Collaborative Healthcare and Translational Medicine. Nanoscaffolds in Regenerative Medicine: Regenerative medicine is an alternative solution for organ transplantation. Stem cells and nano scaffolds are two essential components in regenerative medicine. Mesenchymal stem cells (MSCs) are considered as primary adult stem cells with high proliferation capacity, wide differentiation potential, and immunosuppression properties which make them unique for regenerative medicine and cell therapy. Scaffolds are engineered nanofibers that provide a suitable microenvironment for cell signaling which has a great influence on cell proliferation, differentiation, and biology. Recently, application of scaffolds and MSCs are being utilized in obtaining a more homogenous population of MSCs with higher cell proliferation rate and greater differentiation potential, which are crucial factors in regenerative medicine. Related Journals of Nanoscaffolds in Regenerative Medicine: Nanomedicine: Nanotechnology, Biology, and Medicine, Nanomedicine, International Journal of Nanomedicine, Wiley Interdisciplinary Reviews: Nanomedicine and Nanobiotechnology, Artificial Cells, Nanomedicine and Biotechnology, Journal of Nanomedicine and Nanotechnology, European Journal of Nanomedicine Open Nanomedicine Journal, Journal of Biomimetics, Biomaterials, and Tissue Engineering, Journal of Biomaterials and Tissue Engineering. Models of Regeneration: Discovered centuries ago, regeneration is a fascinating biological phenomenon that continues to intrigue. The study of regeneration promises to inform how adult tissues heal and rebuild themselves such that this process may someday be stimulated in a clinical setting. Although mammals are limited in their ability to regenerate, closely and distantly related species alike can perform astonishing regenerative feats. Many different animals representing almost all phyla harness an innate ability to rebuild missing adult structures lost to injury. However, it is unclear which aspects of regeneration are conserved and which are unique to a given context. One aspect of regeneration that appears to be shared is the use of stem/progenitor cells to replace missing tissues. Related Journals of Models of Regeneration: BioOne, Journal of Investigative Dermatology, PLOS ONE, Human Molecular Genetics, Journal of Cell Biology, ILAR journal, Journal of cellular and molecular medicine, Journal of clinical periodontology, Journal of Cancer, Frontiers in Aging Neuroscience. Stem Cell Treatments: Regenerative medicine is an emerging branch of medicine with the goal of restoring organ and/or tissue function for patients with serious injuries or chronic disease in which the bodies own responses are not sufficient enough to restore functional tissue. New and current Regenerative Medicines can use stem cells to create a living and functional tissues to regenerate and repair tissue and organs in the body that are damaged due to age, disease and congenital defects. Stem cells have the power to go to these damaged areas and regenerate new cells and tissues by performing a repair and a renewal process, restoring functionality. Regenerative medicine has the potential to provide a cure to failing or impaired tissues. Related Journals of Stem Cell Treatments: Stem Cell Reports, Hematology/ Oncology and Stem Cell Therapy, Journal of Stem Cells, International Journal of Stem Cells, Journal of Stem Cells and Regenerative Medicine, Stem Cells and Cloning: Advances and Applications, International Journal of Hematology-Oncology and Stem Cell Research, Open Stem Cell Journal, Stem Cell, Stem Cell Research Journal. Cellular Therapies: Cellular therapy, also called live cell therapy, cellular suspensions, glandular therapy, fresh cell therapy, sicca cell therapy, embryonic cell therapy, and organotherapy - refers to various procedures in which processed tissue from animal embryos, fetuses or organs, is injected or taken orally. Products are obtained from specific organs or tissues said to correspond with the unhealthy organs or tissues of the recipient. Proponents claim that the recipient's body automatically transports the injected cells to the target organs, where they supposedly strengthen them and regenerate their structure. The organs and glands used in cell treatment include brain, pituitary, thyroid, adrenals, thymus, liver, kidney, pancreas, spleen, heart, ovary, testis, and parotid. Several different types of cell or cell extract can be given simultaneously - some practitioners routinely give up to 20 or more at once. 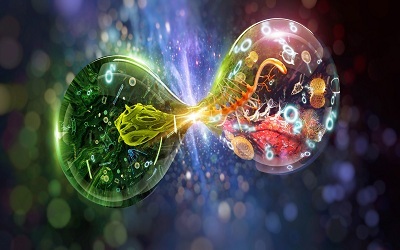 Related Journals of Cellular Therapies: Hematology and Cell Therapy, Hematology/ Oncology and Stem Cell Therapy, Cytotherapy, Molecular and Cellular Therapies, Journal of Cell Science & Therapy, Molecular Therapy, The Journal of Cancer Gene and Cellular Therapies, The International Journal of Molecular and Cellular Therapeutics, Stem Cell Research & Therapy, Journal of Cellular and Molecular Medicine. Gene Therapy: Gene therapy is an experimental technique that uses genes to treat or prevent disease. In the future, this technique may allow doctors to treat a disorder by inserting a gene into a patient’s cells instead of using drugs or surgery. Researchers are testing several approaches to gene therapy, including replacing a mutated gene that causes disease with a healthy copy of the gene; Inactivating, or “knocking out,” a mutated gene that is functioning improperly; Introducing a new gene into the body to help fight a disease. Although gene therapy is a promising treatment option for a number of diseases (including inherited disorders, some types of cancer, and certain viral infections), the technique remains risky and is still under study to make sure that it will be safe and effective. Gene therapy is currently only being tested for the treatment of diseases that have no other cures. Related Journals of Gene Therapy: Cancer Gene Therapy, Current Gene Therapy, Current Molecular Medicine, Gene Therapy, Gene Therapy and Molecular Biology, Gene Therapy, and Regulation, Genetic Vaccines and Therapy, Human Gene Therapy, Journal of Gene Medicine, Journal of Molecular Medicine, Molecular Therapy. Immunotherapy: Immunotherapy, also called biologic therapy, is a type of cancer treatment designed to boost the body's natural defense to fight cancer. It uses materials either made by the body or in a laboratory to improve, target, or restore immune system function. It is not entirely clear how immunotherapy treats cancer. However, it may work in the following ways: Stopping or slowing the growth of cancer cells; Stopping cancer from spreading to other parts of the body; Helping the immune system work better at destroying cancer cells.There are several types of immunotherapy, including monoclonal antibodies, non-specific immunotherapies, and cancer vaccines. Related Journals of Immunotherapy: Immunotherapy, Journal for ImmunoTherapy of Cancer, Journal of Immunotherapy, Journal of Cellular Immunotherapy, Cancer Immunology, and Immunotherapy, Monoclonal Antibodies in Immunodiagnosis and Immunotherapy, International Journal of Immunotherapy, Serodiagnosis and Immunotherapy in Infectious Disease, Journal of Immunotherapy Applications, Immunotherapy: Open Access. Biomaterials and Bioengineering: Biomaterials are being used for the healthcare applications from ancient times. But subsequent evolution has made them more versatile and has increased their utility. Biomaterials have revolutionized the areas like bioengineering and tissue engineering for the development of novel strategies to combat life-threatening diseases. Together with biomaterials, stem cell technology is also being used to improve the existing healthcare facilities. These concepts and technologies are being used for the treatment of different diseases like a cardiac failure, fractures, deep skin injuries, etc. Introduction of nanomaterials, on the other hand, is becoming a big hope for a better and an affordable health care. Related Journals of Biomaterials and Bioengineering: Nature Biotechnology, Lab on a Chip - Miniaturisation for Chemistry and Biology, International Journal of Robust and Nonlinear Control, Biosensors and Bioelectronics, Polymer Chemistry, Advanced healthcare materials, Polymer Reviews, Nanomedicine: Nanotechnology, Biology, and Medicine, Acta Biomaterialia, Wiley Interdisciplinary Reviews: Nanomedicine and Nanobiotechnology. Human Pathological Conditions: Human Pathological Conditions, provides fundamental information concerning common diseases and disorders of each body system. For each system, the disease or disorder is highlighted including description, etiology, signs and symptoms, diagnostic procedures, treatment, management, prognosis, and prevention. Related Journals of Human Pathological Conditions: Forum on Immunopathological Diseases and Therapeutics, Human Pathology, Human Pathology: Case Reports, The American Journal of Pathology, Journal of Clinical & Experimental Pathology, Advances in Anatomic Pathology, Annales de Pathologie, Histopathology, Pathobiology, Pathophysiology. Diagnostics and Imaging: Diagnostic imaging lets doctors look inside your body for clues about a medical condition. A variety of machines and techniques can create pictures of the structures and activities inside your body. The type of imaging your doctor uses depends on your symptoms and the part of your body being examined. They include X-rays, CT scans, Nuclear medicine scans, MRI scans, Ultrasound. Many imaging tests are painless and easy. Some require you to stay still for a long time inside a machine. This can be uncomfortable. Certain tests involve exposure to a small amount of radiation. For some imaging tests, doctors insert a tiny camera attached to a long, thin tube into your body. This tool is called a scope. The doctor moves it through a body passageway or opening to see inside a particular organ, such as your heart, lungs, or colon. These procedures often require anesthesia. Related Journals of Diagnostics and Imaging: Journals | Diagnostic Imaging, Diagnostic Imaging: Radiology News, Features, Case Studies, Journal of Diagnostic Radiography and Imaging, Journal of Medical Imaging SPIE, Journal of Medical Imaging and Radiation Sciences, Diagnostic and Interventional Imaging - Journal Journal of Medical Imaging and Radiation Sciences, BMC Medical Imaging, Diagnostic Imaging, Computerized Medical Imaging and Graphics. Stem Cell Transplantation: Stem cell transplantation is a procedure that is most often recommended as a treatment option for people with leukemia, multiple myeloma, and some types of lymphoma. It may also be used to treat some genetic diseases that involve the blood. During a stem cell transplant, diseased bone marrow (the spongy, fatty tissue found inside larger bones) is destroyed with chemotherapy and/or radiation therapy and then replaced with highly specialized stem cells that develop into the healthy bone marrow. Although this procedure used to be referred to as a bone marrow transplant, today it is more commonly called a stem cell transplant because it is stem cells in the blood that are typically being transplanted, not the actual bone marrow tissue. Related Journals of Stem Cell Transplantation: Journal of Stem Cell Research & Therapy, Journal of Stem Cell Research and Transplantation, Bone Marrow Transplantation, International Journal of Stem Cell Research and Transplantation, Biology of Blood and Marrow Transplant, Insights in Stem Cells, Insights in Cell Science, Journal of Transplantation Technologies & Research, Tropical Medicine & Surgery, Cell Research, Molecular and Cellular Biology, Aging Cells, Stem Cells. Ethical and Legal Issues: Stem Cell Research offers great promise for understanding basic mechanisms of human development and differentiation, as well as the hope for new treatments for diseases such as diabetes, spinal cord injury, Parkinson’s disease, and myocardial infarction. Pluripotent stem cells perpetuate themselves in culture and can differentiate into all types of specialized cells. Scientists plan to differentiate pluripotent cells into specialized cells that could be used for transplantation. Related Journals of Ethical and Legal Issues: Journal of Medical Ethics, The Journal of Law, Medicine & Ethics, The New England Journal Of Medicine, Ethics, The Medical Journal of Australia, Journal of the Medical Library Association, Georgetown Journal of Legal Ethics, Notre Dame Journal of Law, Ethics and Public Policy, Journal of Law and Medicine, Journal of Medical Law and Ethics.